Santana Equipment West Division (Phoenix) opened its doors as the company's first satellite location in June of 2012. Following four years of rapid growth, the company has acquired a new facility for its operations. 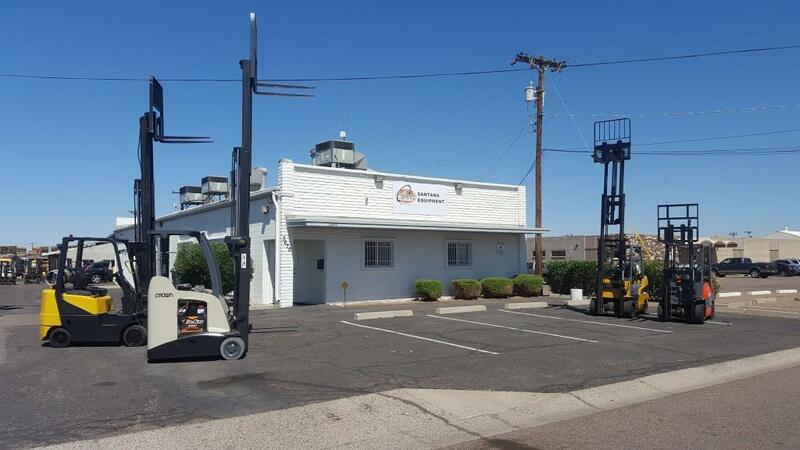 PHOENIX - May 25, 2016 - PRLog -- Santana Equipment Trading Company, a leader in the used material handling equipment market, today announced the opening of a new facility for its Phoenix, Arizona operations. Santana Equipment West Division (Phoenix) opened its doors in June of 2012 as the company's first satellite location. With the help of its headquarters office, located in the Chicago, Illinois area, the Phoenix branch quickly became one of the top sellers of used forklifts in its local market. The new facility is conveniently located near both Interstate-17 and Interstate-10 in West-Central Phoenix. It adds an additional 10,000 square feet of warehouse and office space from the company's old location. Alex Stuckey, Santana Equipment's West Division Manager, notes "We are very excited about the move. Our new facility will allow us to stock more equipment so we can offer customers a wider selection of quality forklifts. We plan to hire additional staff to meet the rapid-growing demand for our products in the southwest region of the United States and in Mexico. Santana Equipment plans to continue its expansion in Phoenix over the next several years." Santana Equipment Trading Company is an industry leader in the used material handling equipment market. Santana Equipment primarily buys, sells, and trades used forklifts and related equipment - working with Fortune 1000 companies, banking institutions, dealerships, and industrial businesses in the United States, Canada, and Mexico. Santana Equipment Trading Company is a privately held organization headquartered in the Chicago, IL area.